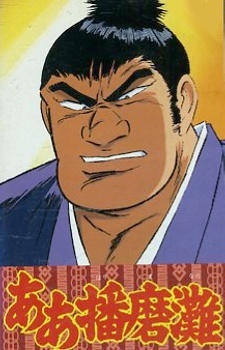 When Harimanada makes his grand entrance into the world of Sumo, he causes complete uproar throughout the entire arena. The novelty headmask is clearly not a good idea but not content with just ruffling the feathers of all the spectators, he sends the the entire Sumo Association into a frenzy when he arrogantly declares that he will surpass the legendary Futabayama's consecutive run of 69 victories. Should he fail to achieve such a feat, he will immediately retire all together. Harimanada's impudent remarks cause a huge backlash as every high-ranking Yokuzuna wants the chance to knock him down and humiliate him for showing such arrogance. Thus begins Harimanada's journey to the top as he battles to topple the entire Sumo hierarchy! Watch Aa Harimanada Episodes Online at Animegg.org. Aa Harimanada is available in High Definition only through Animegg.org. Choose an episode below and start watching Aa Harimanada in Subbed & Dubbed HD now.